Because it's the real deal! The prizes won in live contests are often the largest in Forex! Want to win a car? That's the place to do it! But remember that you'll be trading with real money, so don't get carried away chasing the main prize. I have been trading with ContinueFX, they have just started Live Trading Contest (Top10Trader) with cash 10000usd pool prize. FirewoodFX presents the live account Trading Competition 1 with cash prize more than 1000 USD! Be the winner by achieving the highest profit! PaxForex is glad to announce "Win or Lose to Win $500" Contest. Two contestants with the highest and lowest results in pips will receive the prize of $500! The Contest lasts one week. The round begins on Monday at 00:00 (Server time GMT+2), and ends on Saturday at 00:00 (Server time GMT+2). Can you climb to the top? Manage your PAMM accounts successfully and generate revenue for your investors and yourself. Make it to the Top Ten and win cash prizes and rewards up to 1000USD! The more you learn - the more you earn! The LMFX ‘Learn & Earn’ Contest is a contest only held on demo accounts. There is absolutely no monetary risk involved - only gain. Practise and master your trading skills while competing for real cash prizes every month! Do you have what it takes to be #1? Then this competition is for you. If you think you have mastered the art of FX trading, join the ranks of LMFX’s Ultimate Traders. Make it to the top and you have the chance of winning 1000USD every month, plus you get to collect Top Trader’s Points. At the end of the year, the trader with the most points will win the title of Trader of the Year and a trading fund of 100.000USD. Get in the game and win the trade! members opening your account from 25th June 2015 to 3rd July 2015. FXTM | "Game of Pips"
Deposit over $1500 and register for the contest . 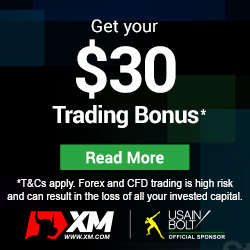 FBS | " Youtrade.tv "
Join PCM Trading Competition and win $5000 REAL MONEY. Registration Period: 21st March to 31st March. Competition Period: 1st April to 30th April. 4th to 13th Prize: 50% bonus on balance. DivenFX | "Coaches of War 2 - The era of micro lot." MasterForex | Contest for IB-partners " Golden Hundred "
Are you ready to become a professional trader? This is your opportunity to prove you have what it takes. Quantic Asset Management is seeking 3 traders to join their team and manage a $10 million allocation. Put your trading skills and strategy to the test by registering for the Quantic Traders Challenge and prove you have what it takes to become a professional trader. 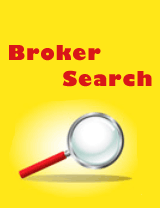 All trading will be executed over the CQG FX trading platform. Trading Period: 12 January 2015 - 30 January 2015. 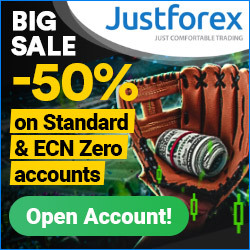 Forex Trend | Best story of success with "Forex Trend"
Withdrawal: Cash prize is credited on the MT4 account or wherever you want upon request. You can get the prize at any time with no restrictions. The tournament is also valid for the AFP world traders ranking season 2015. DivenFX | forum competition "Couch war"